His Eminence Metropolitan Savas (Zembillas) of Pittsburgh is a graduate of Colby College ME (1979) and Holy Cross Greek Orthodox School of Theology in Brookline MA (1984). He pursued graduate studies at Oxford University (1987-1994), where he also served for two years as assistant director of St. Theosevia Centre for the Study of Christian Spirituality and as warden of the House of St. Gregory and St. Macrina. He was appointed Chancellor of the Greek Orthodox Archdiocese of America (1999-2009); in 2001, he was elected Auxiliary Bishop with the title Bishop of Troas; and in 2011, the Holy and Sacred Synod of the Ecumenical Patriarchate elected him Metropolitan of Pittsburgh. Metropolitan Savas is in the vanguard of engaging issues of contemporary societal and cultural realities on the Internet. 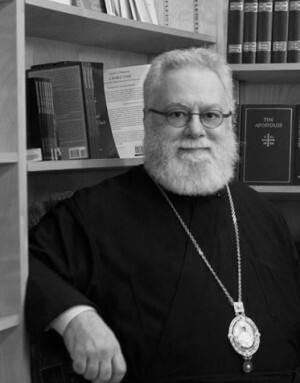 He chairs the Church and Society Committee of the Orthodox Churches in America. He has taught courses on religion in popular culture in Orthodox seminaries.